Getting back on the road following an incident can be a very trying experience. Our professional instructors are committed to getting you back on the road with confidence in one of a kind package that is completely customized to your driving needs. A certified professional instructor will assess your driving habits and identify areas of improvement that will elevate your safe driving skills. ollowing your assessment, your instructor will work with you privately to develop your driving skills and help prevent future incidents. 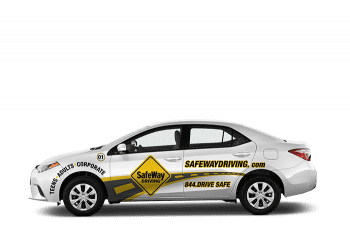 For an additional fee, your SafeWay Instructor will meet you at your home or office, or you can choose to have the valet time deducted from your lesson.